What Should I Know About Sushi Rolling? Sushi rolls should be tightly packed. 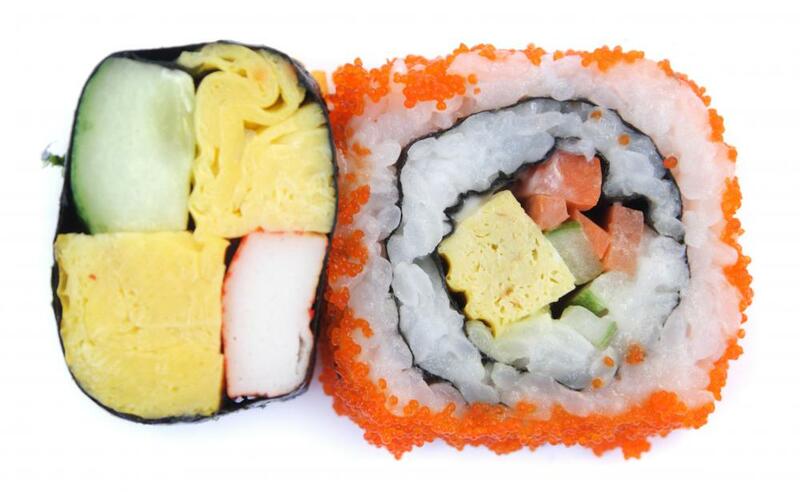 Hosomaki rolls underneath an uramaki roll. Some sushi has crab in it. 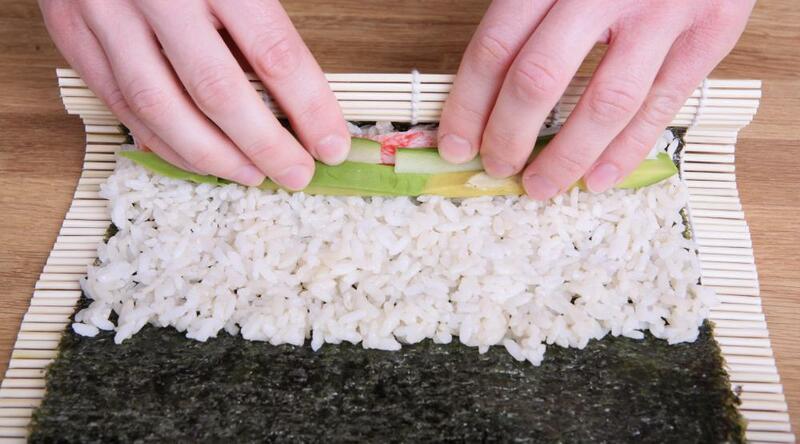 Using a sushi mat is an important part of rolling sushi. With some practice, sushi rolling is not a very difficult task, and there are a few tips which will make it much easier. Being able to roll sushi at home can be a very useful skill for people who like to play with interesting flavor combinations, or host sushi parties. 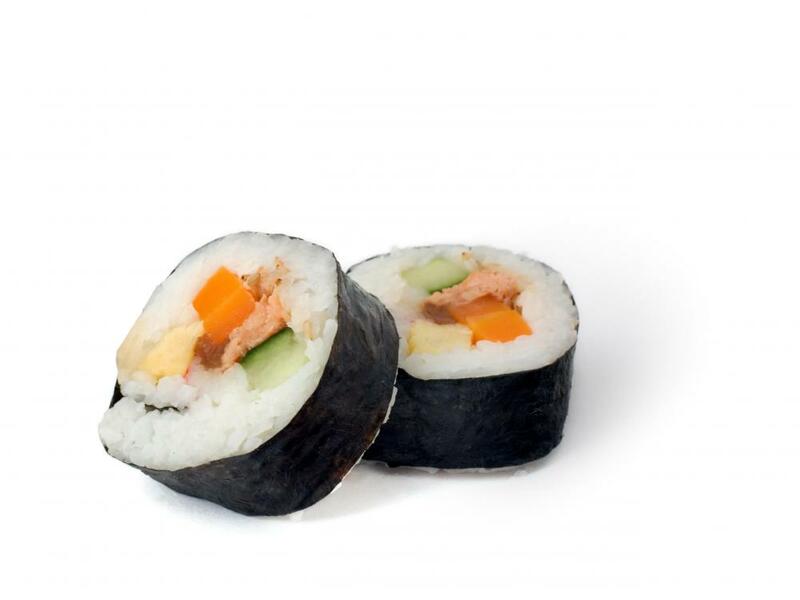 Sushi is also a big hit at potlucks and community gatherings in many regions of the world. Before delving into the mysteries of sushi rolling, a brief discussion about the word “sushi” is necessary. 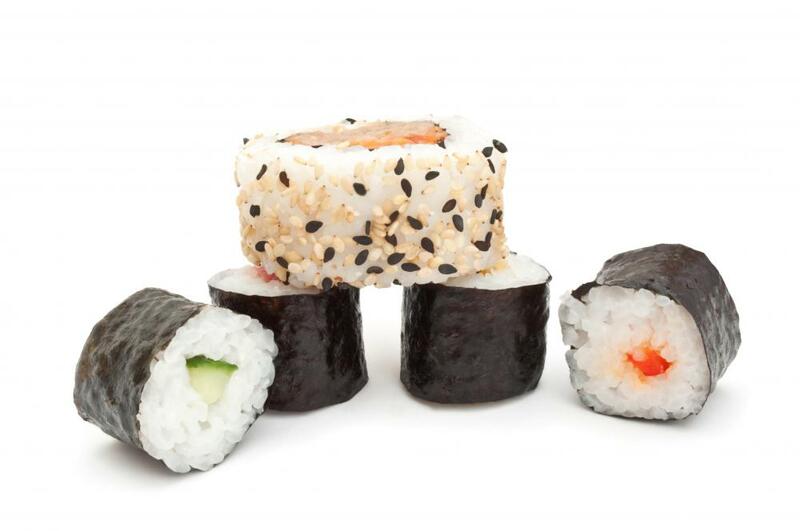 “Sushi” refers specifically to vinegared rice in Japanese cuisine. This seasoned rice can be used in a number of ways, with one popular usage being makizushi or “rolled sushi,” made by placing sushi and fish or vegetables on a sheet of nori and then wrapping it up in a tight roll. Westerners commonly refer to makizushi as just “sushi,” which can be confusing for people who are familiar with Japanese. To make makizushi, cooks are going to need sushi, sliced fish and vegetables, and nori, dried sheets of seaweed which are traditionally toasted so that they are crispy. The fish used can be raw or cooked, and vegetables can include things like carrots, cucumber, bell pepper, and mushrooms, among many others. In addition to these ingredients, a sushi mat is a must, and it helps to have a sushi paddle. There are two problems involved in rolling sushi. 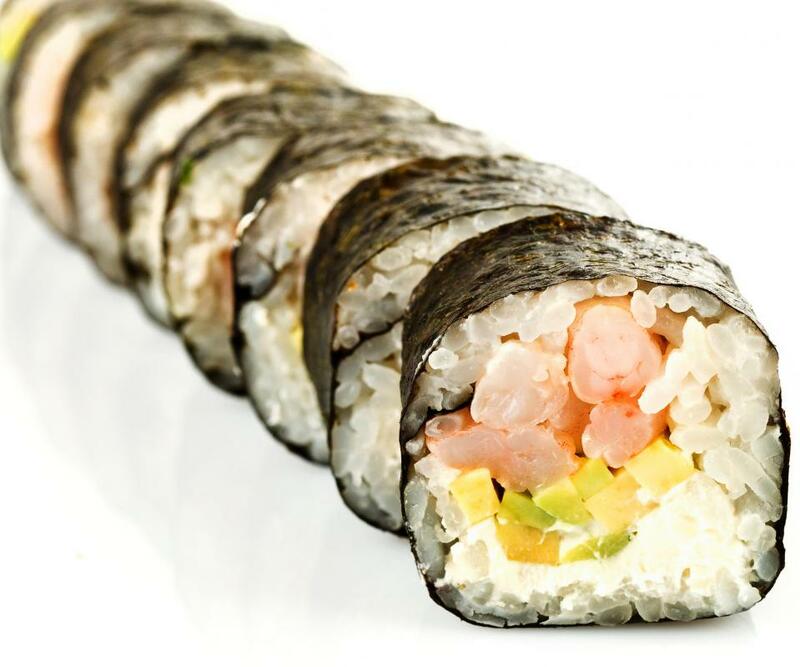 Once is that the rice tends to be extremely sticky, which can make sushi rolling quite messy, and the other is that it can be challenging to get the nori wrapped tightly to create a firm roll, rather than a loose envelope which will spill fillings all over the table. Stickiness can be addressed by covering the sushi mat in plastic wrap or placing it inside a plastic bag, and by keeping a small dish of warm water on the counter. The water can be used to rinse the fingers periodically to remove sticky rice, while the plastic prevents rice from sticking to the mat. Using a sushi paddle also helps, because the paddle can be used to handle and form the rice, rather than the hands. Learning to roll sushi so that the nori is tight can be a bit tricky. Cooks should start by spreading rice and ingredients on one end of a sheet of nori, taking care to square up the ingredients as much as possible so that they are even. 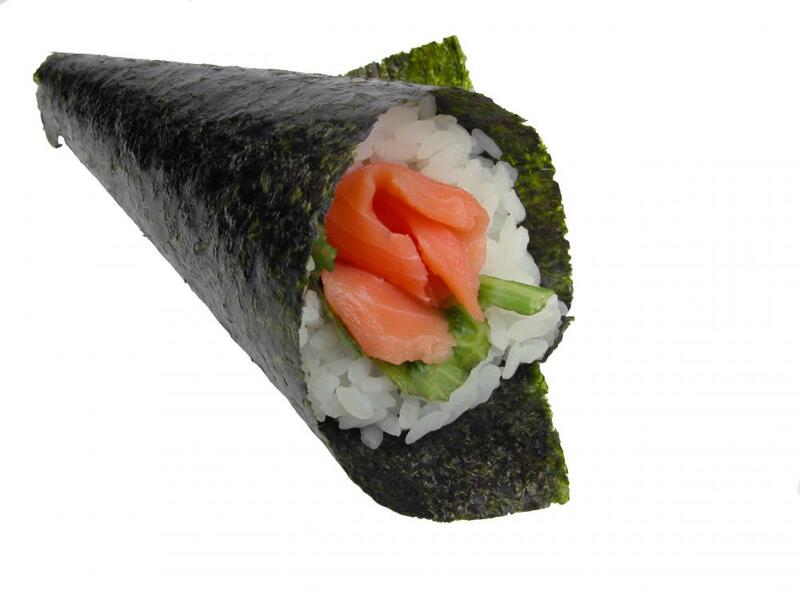 Then, the nori can be carefully rolled up with the sushi mat, starting at the end with the filling. To make uramaki or inside-out rolls, in which the rice is on the outside, the nori and rice can be carefully flipped after the rice is spread. It can help to practice with the sushi mat and a towel rolled up into a log to get the hang of rolling the sushi up tightly. Rather than adjusting the mat constantly so that the tail end does not get trapped, it is possible to flip the excess mat over as the sushi is rolled. The hand motions involved in sushi rolling may feel a bit unfamiliar at first, but they will grow more natural over time. Once the sushi has been tightly rolled up, the mat can be used to compress and square it to make a solid block which can be cut into individual pieces for serving. In Japan, each piece is designed to be bite sized, which is something to keep in mind when embarking on a sushi rolling project, as smaller fillings are also easier to handle as the sushi is rolled up. How do I Become a Sushi Chef? What Is a Sushi Chef? How do I Choose the Best Sushi Set? What are Some Different Types of Sushi Supplies? What Should I Know About Sushi Etiquette?